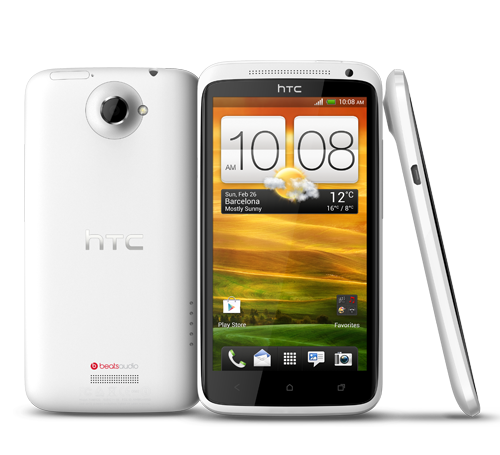 Home > Android > How to root HTC One X? Rooting a process by which you can gain control over your android device. You can do whatever you want to, you can overclock the processor, underclock the processor, clean some memory by deleting the apps that are not needed (Provided by the vendor which do not have a delete option), customize the UI of the device, install another operating system for which no upgrade was provided by the vendor. By rooting your device you loose the warranty of the device, so do it on your own risk. This process is not recommended by any vendor. Only those users who are keen to experiment on their device or tired of the slow performance of their device may take this risk. HTC One X has a 720 x 1280 pixels, 4.7 inches (~312 ppi pixel density), Corning Gorilla Glass display; 1 GB RAM; 8 MP, 3264×2448 pixels, autofocus, LED flash primary camera and 1.3 MP, 720p secondary camera; Android OS, v4.0 (Ice Cream Sandwich); Quad-core 1.5 GHz; Beats Audio and many more specifications. It has one of the best specifications in the android device market, still users can root this device to get even more, or can to upgrade to Android Kitkat. 1. Download SuperBoot to your desktop. 3.Power off the HTC One X device. 4. Switch on the device in bootloader mode by pressing “Power + Volume Down button”. 5.Connect the device to the computer now. 6. Now open “install-superboot-windows.bat”, wait for it to complete, it will take a bit. 7. Now your HTC One X is successfully rooted.